Detroit, MI — The Michigan Trails and Greenways Alliance is pleased to be a part of the Ralph C. Wilson, Jr. Foundation’s announcement to award Southeast Michigan $100 million for park and trail development, providing another significant financial incentive for communities to build trails. Michigan Trails offers our broad support to the Foundation, who has been an active and vibrant partner in helping to provide recreational opportunities and connect communities to support healthy and active lifestyles in Michigan. Michigan Trails and Greenways Alliance has already partnered with the Foundation to fund the state’s first Trail Ambassador position and has retained Andrea LaFontaine to work with communities to complete the Great Lake-to-Lake Trails Route #1, which will unite eight counties and their trails from South Haven to Port Huron. Today’s welcomed announcement of funding eligible trail planning and development projects and most importantly, maintenance of trail infrastructure, could not have come at a better time as the Michigan Legislature is expected to complete its work on Senate Joint Resolution O later this year which will provide the opportunity for more trail development projects using the Michigan Natural Resources Trust Fund. When combined with this new grant opportunity announced today it will undoubtedly stimulate millions of more dollars of trail development work in communities in Southeast Michigan and all over the state. Our work on the Great Lake-to-Lake Trails Route #1 has demonstrated that communities are eager to build trails that connect existing trails particularly so when given the resources to do so. 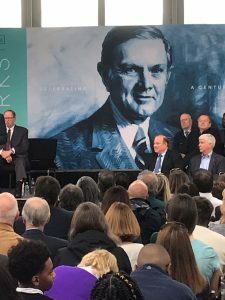 This critical trail funding piece announced today continues to demonstrate the commitment of the Ralph C. Wilson, Jr, Foundation to making Michigan a better place to live and to continue Michigan’s national leadership role in trail development. The Michigan Trails and Greenways Alliance is the statewide voice for nonmotorized trail users, helping to build destination trails and advocate for trails policy and funding in Lansing. For more information, visit us at www.michigantrails.org or find us on Facebook. 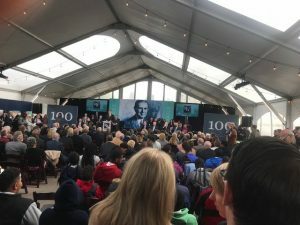 For more on the Ralph C. Wilson Jr. Foundation’s grant announcement, visit www.rw100.org/.